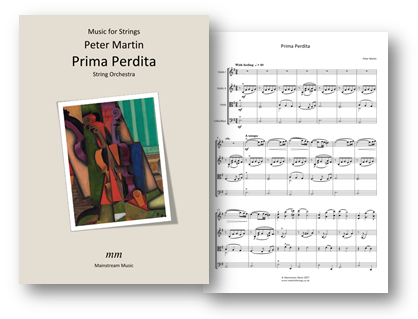 A plaintive and reflective ballad, composed for string orchestra by Peter Martin. The PDF contains parts for violin III (doubling that of the viola) and double bass. Click on the image below to view and listen to the score on YouTube.